Sunshine and clouds mixed. High 83F. Winds SSW at 10 to 15 mph..
Cloudy. Low 62F. Winds WSW at 5 to 10 mph. 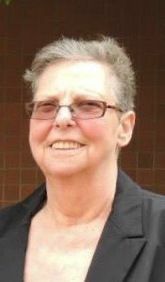 Phyllis Lois Pulliam Coffey, 80, of Fredericksburg, passed away at her home on Tuesday, April 9, 2019. Survivors include her children, William Ryland Ennis, Jr. and Carla Beach; six grandchildren; 13 great-grandchildren; sister Diann Snellings (Terry); brother William Bennett Pulliam, Jr. (Pat); and numerous nieces and nephews. She was preceded in death by her husband, Harold Crutchfield Coffey, son, Randy Ennis, and grandson, Randy Lee Ennis. A graveside service will be held at 10 a.m. on Monday, April 15 Quantico National Cemetery. A reception will be held at 11:30 a.m. at Grace United Method Church following the graveside service. Online guest book at covenantfuneralservice.com. Robert "Bob" Howard Morecock, 84, of Mattaponi and Fredericksburg, passed suddenly on April 6, 2019 of heart failure with his wife of 61 years, Betty Jo, and grandson, Collin, by his side. Born in Richmond and raised in Amelia County, Bob worked for VDOT for 32 years as a Bridge Engineer; 26 as the Fredericksburg District Bridge Engineer. Hobbies included HAM radio operator, the water, and travel. As a HAM for 58 years, he achieved the Amateur Extra operator class; highest FCC license. An avid boater/sailor, and fisherman he taught his children to love all water sports as a family. Bob's love of travel culminated with a 61st anniversary cruise to Cuba with his wife and daughter. Predeceased by his parents Howard Mann and Nell Grigsby Morecock, he is survived by his wife Betty Jo Collins Morecock, children: Robert Jr. (Marian), Martha Eddy (Craig), and Steven (Elizabeth); grandchildren: Joseph Angelo, Robert Collin, Christiane Marra, Sarah Michelle, Alexandra Nell Eddy, and Heather Alisha; cousins, nieces & nephews. In lieu of flowers, memorial contributions can be made to the Virginia Tech College of Engineering at or at a local SPCA or Humane Society. Condolences can be made at www.vincentfh.com.